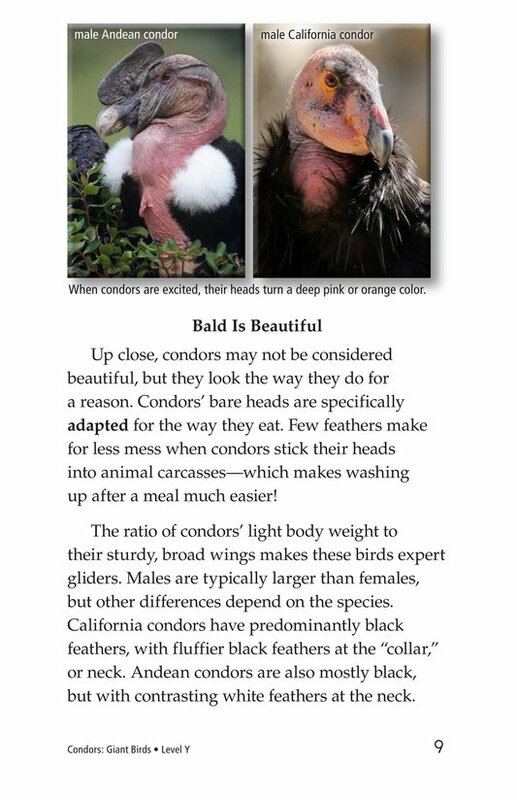 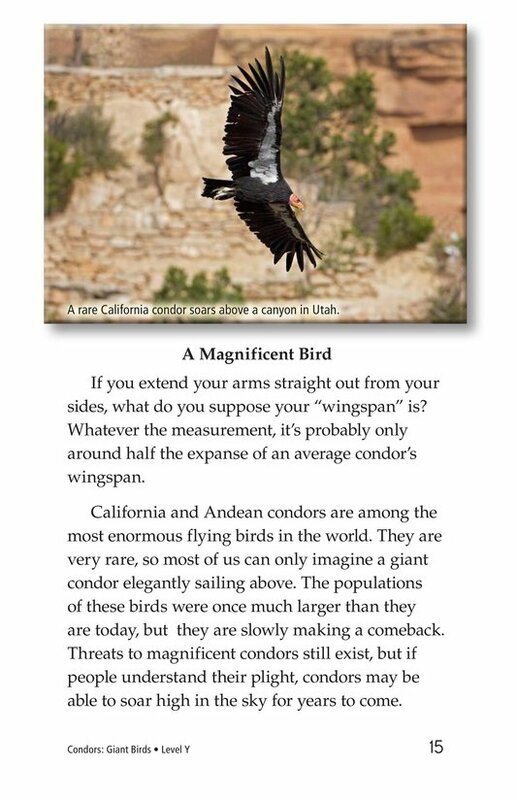 Condors: Giant Birds covers many interesting facts about these graceful flyers. 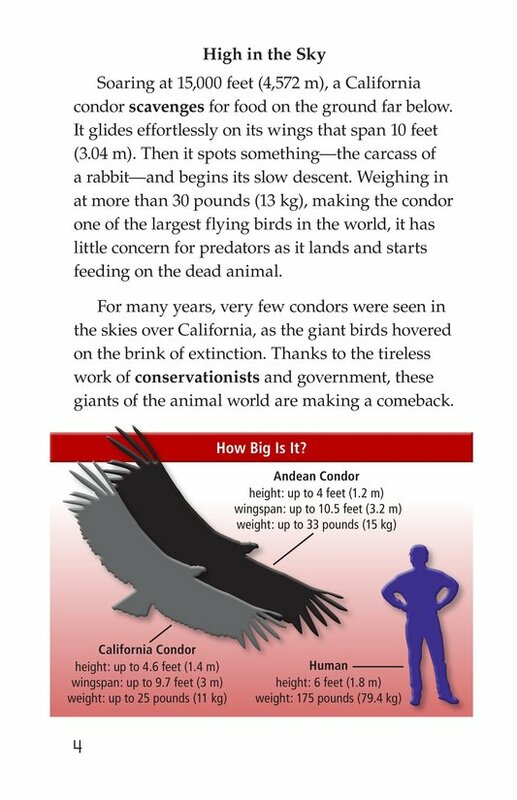 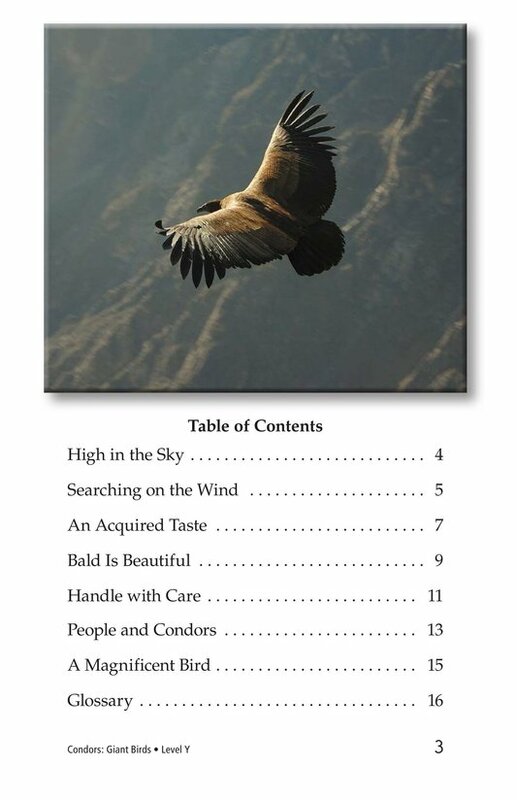 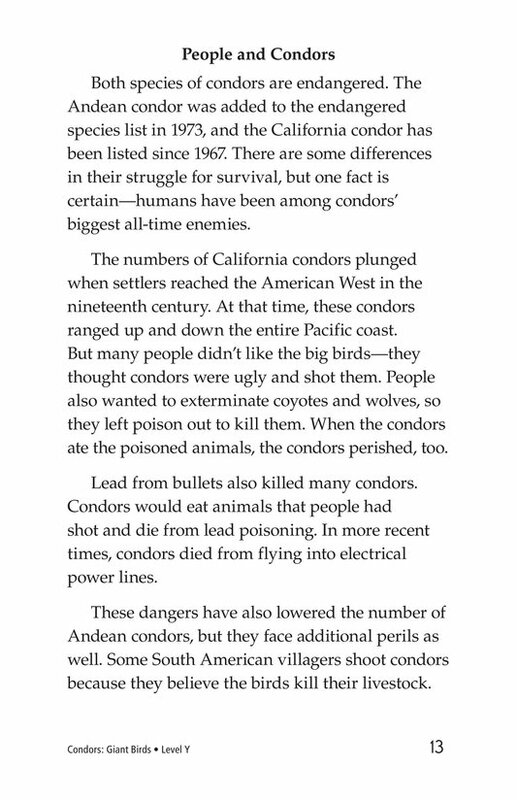 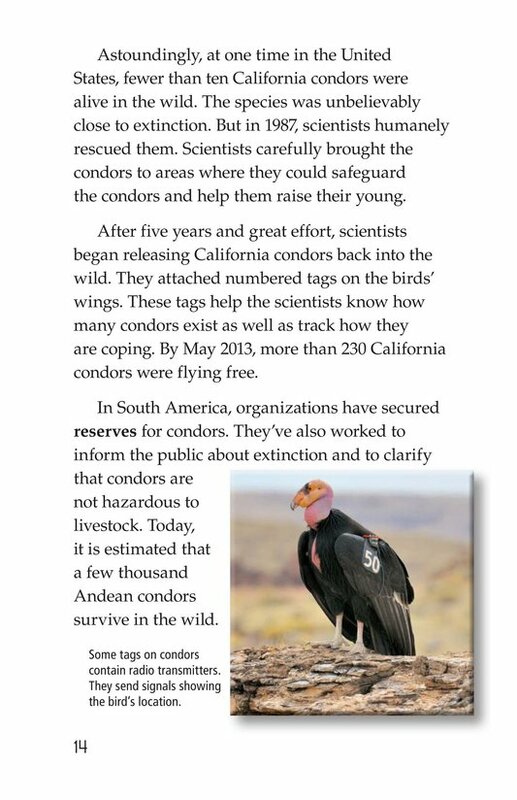 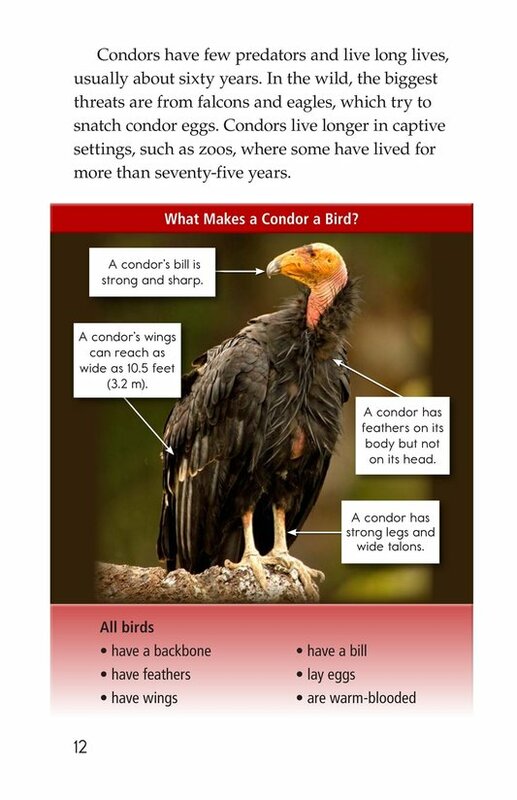 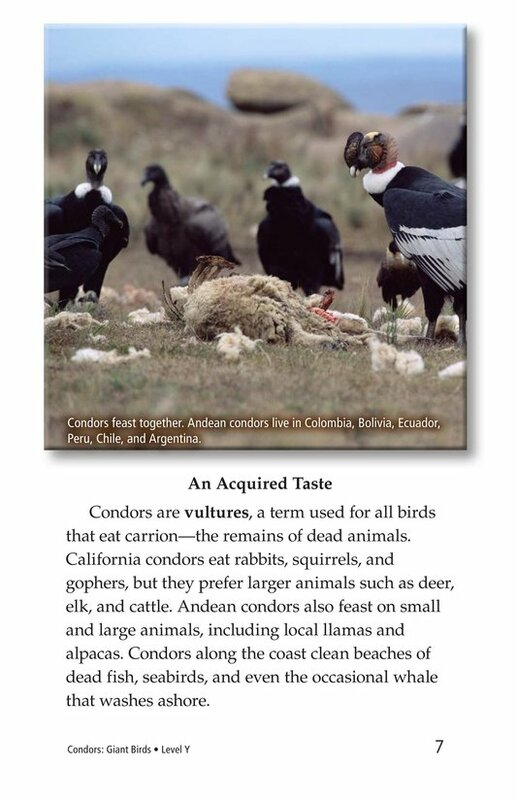 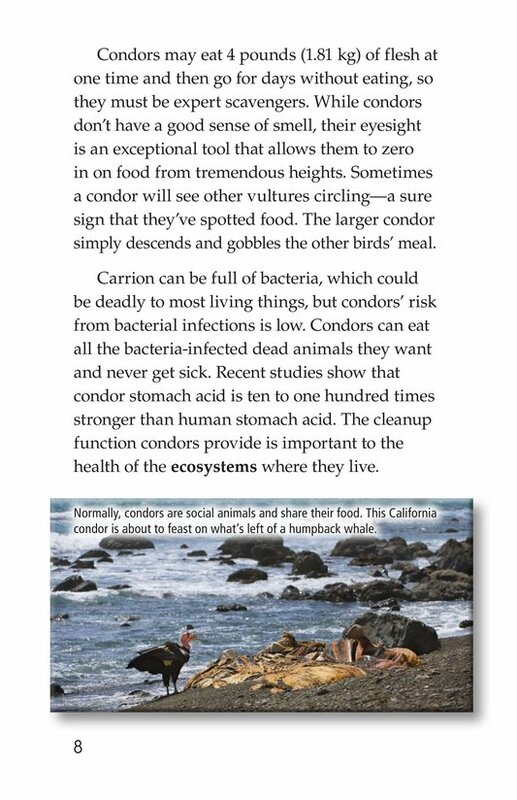 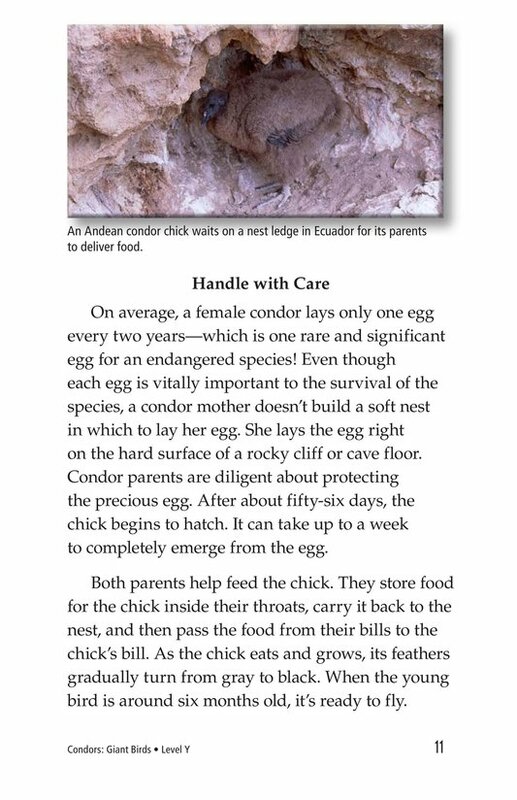 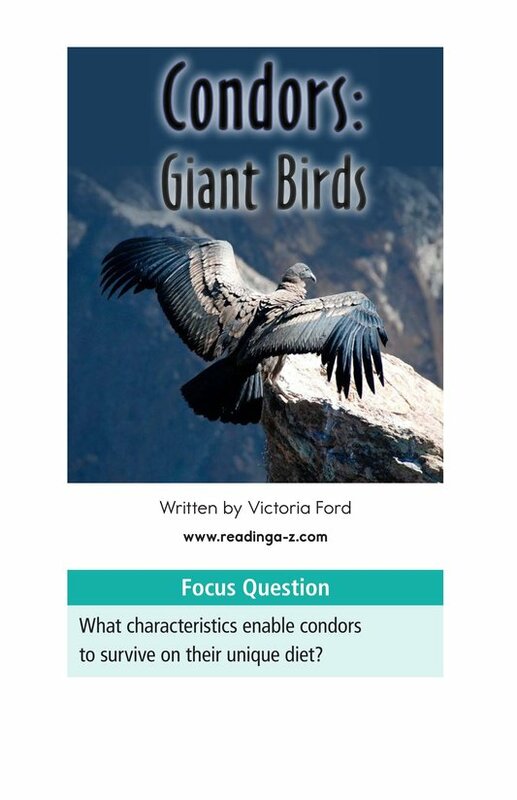 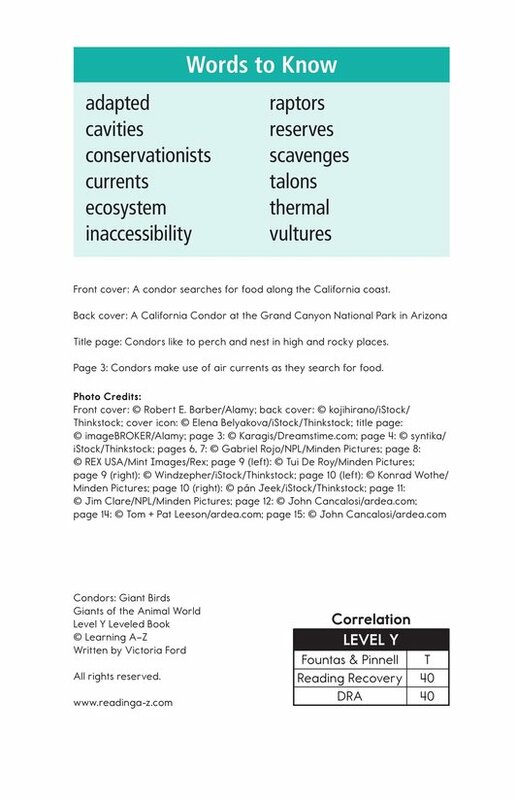 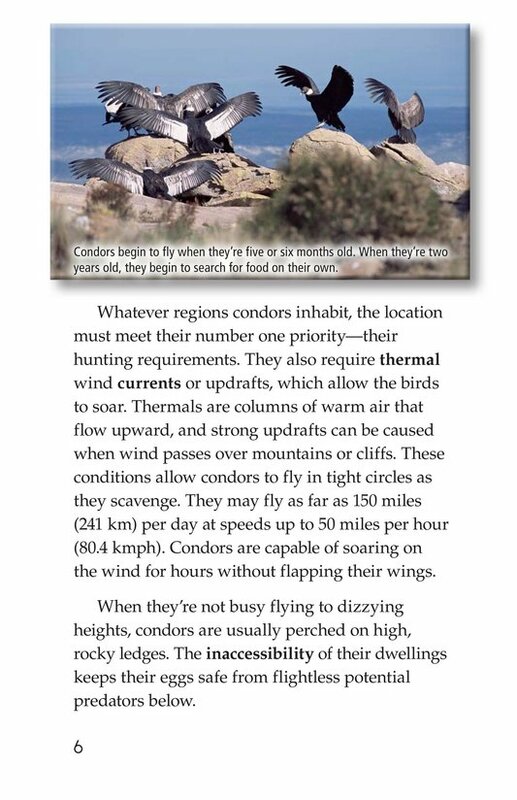 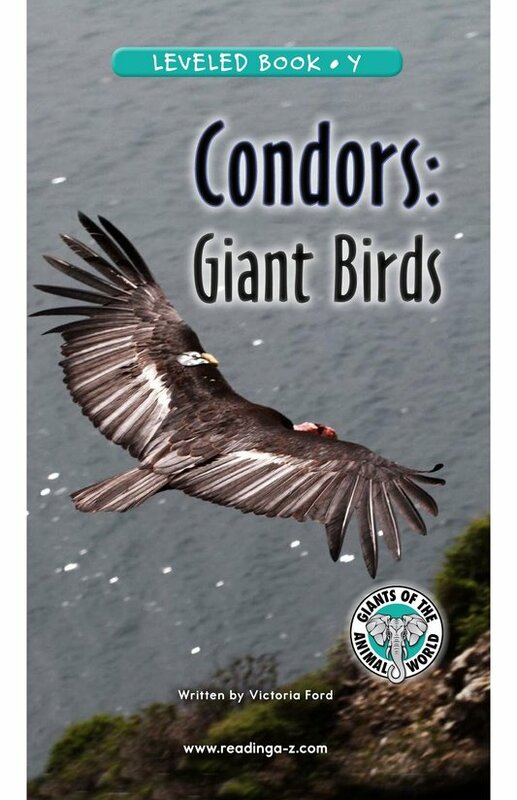 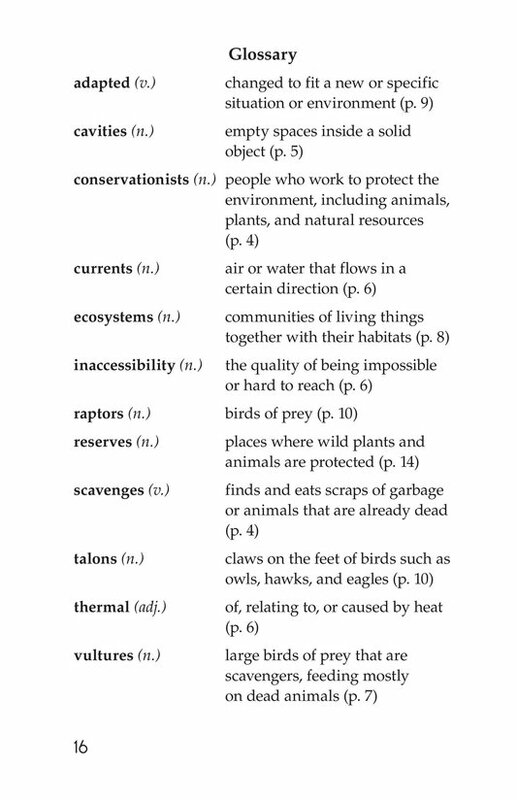 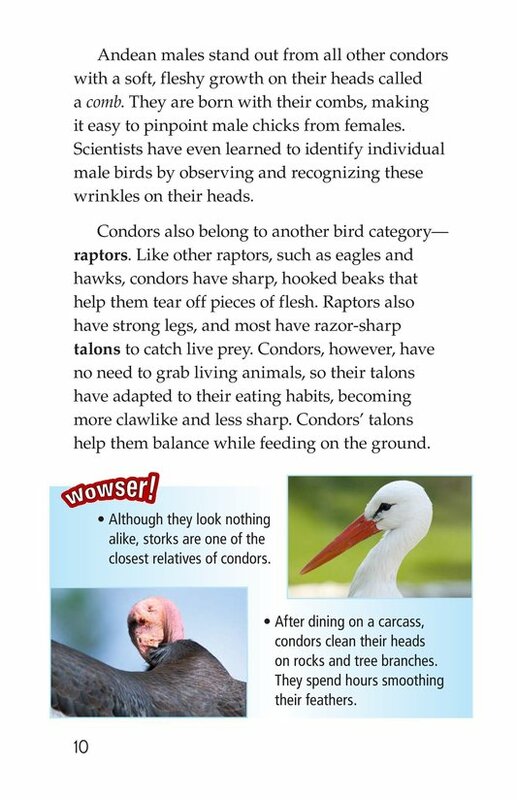 From condors' eating habits to their near extinction, students will enjoy reading about these amazing creatures. 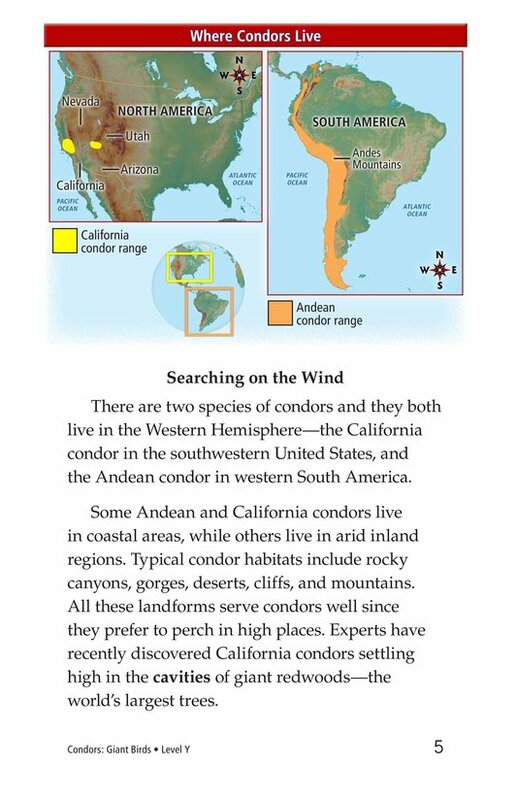 Vibrant pictures and maps enhance the text.